Like, probably the least cool thing you could ever do. It's mean, it's rude, it's unnecessary when you could probably just break up with the person instead of causing them a severe amount of emotional pain. Not worth it, to be honest. 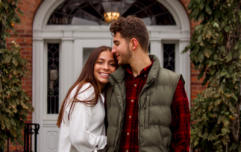 You can hardly blame a person who has been cheated on for acting out, doing something a bit drastic, and essentially getting their revenge either. In this case, the person in question was assumedly well within their right to do what they did to ease their heartache, quell their disappointment, and make the other person feel like an absolute dickhead. 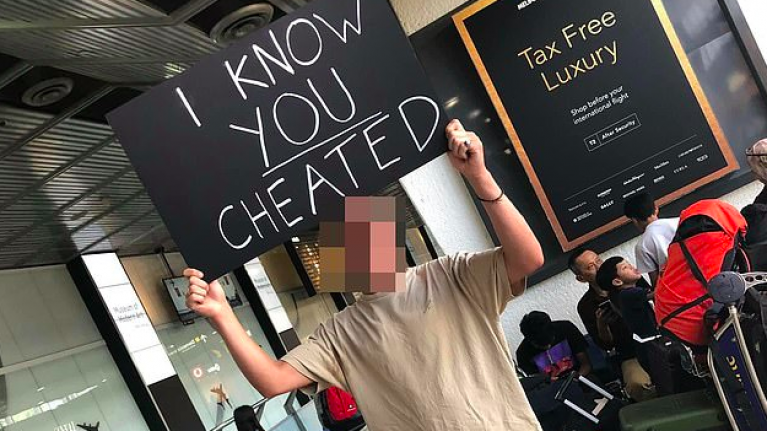 Because they went to the airport and held an "I know you cheated" sign above their head - and sorry, but are you even able for the intense level of done? 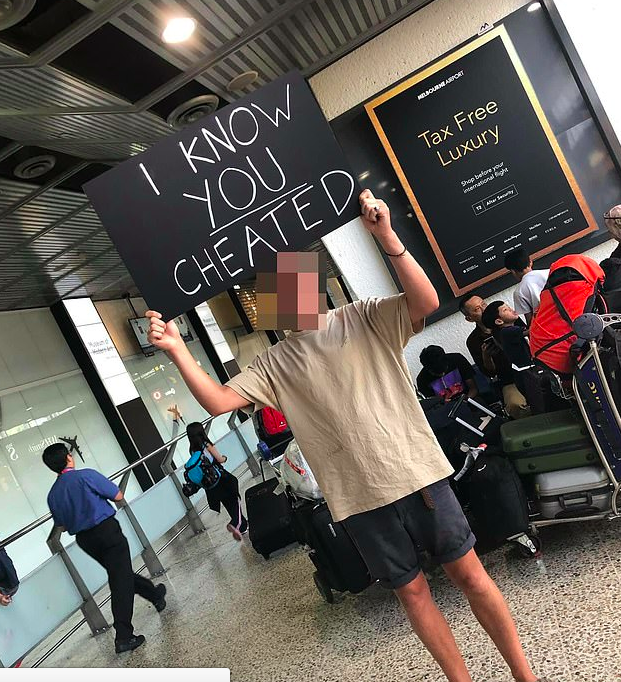 The unblurred image was originally shared online by Twitter user 'KrystaalA' who said that she saw the man and his sign in arrivals in Melbourne airport. She wrote: "He was waiting to greet his cheating partner... I am deceased." The photo has since racked up an impressive 24,000 retweets and 75,000 favs since it went live last week. Although there is no follow up image documenting exactly what went down after the man's partner arrived back to Melbourne, we can only assume that they were not greeted with a loving embrace.